Memorandum in 1986 following the death of the wartime and post-war criminal Josip Broz “Tito,” and this set a chain of events and actions by Serbia (and Milosevic’s Quislings in Croatia and B&H) resulting in the Homeland War in Croatia (the background and dynamics of which are covered in detail in this link). The prelude to the war and Western and international diplomatic, deep state, and media gatekeeper manipulation of the facts after war’s outbreak were outlined by Dr. Jerry Blaskovich. c) A hostile right-wing (anti-Catholic) and left-wing (Socialist, Marxist and neo-Marxist) media as well as a Western mainstream media that was slavishly repeating Belgrade’s talking points as most journalists were not on the front lines, but in Belgrade being fed misinformation by Yugoslav People’s Army media officers, and Western diplomatic corps determined to keep Yugoslavia together. 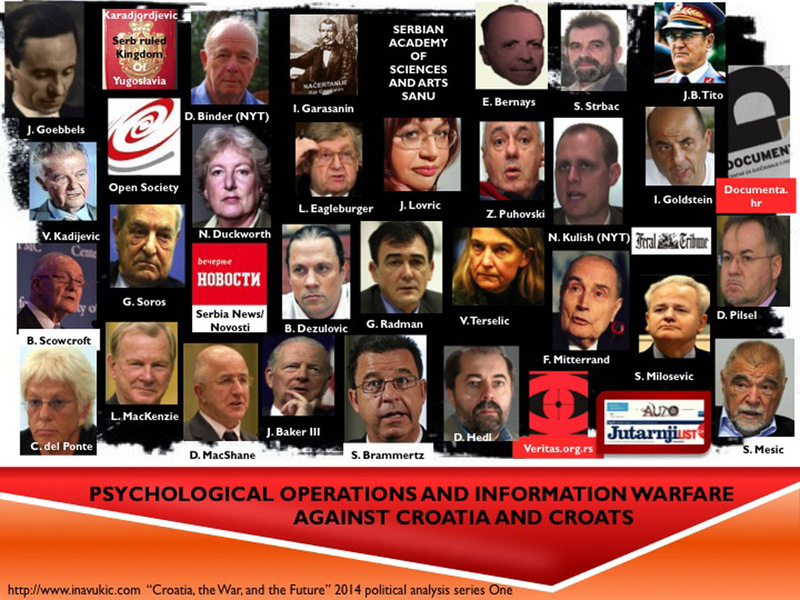 The psychological and information war against Croatia took a new dimension during the conflict. In addition to blatant UN compromises with Milosevic’s Quislings, the creation of the International Criminal Tribunal for Former Yugoslavia provided a new means of attack for Serbia – reversing the (at least post-Markale massacre, bad press) tactical and strategic defeats at the hands of President Tudjman and Croatia’s police, military and intelligence through legal means, clouding the truth, chronological order of events, and facts by initiating investigations and premising cases on lies, manipulations and propaganda disseminated by Serbia’s intelligence, counterintelligence, military and state media. This was coupled by massive financing by Western governments (and intelligence agencies) of the so-called non-governmental organizations, many times staffed by known Yugoslav regime sympathizers, collaborators and or intelligence agents, working with the UN, ICTY and international media by feeding them strategic propaganda, misinformation, disinformation, and outright lies and inventions – more or less, serving entirely as front groups with hidden salaries, donors, financial spending, and agendas. The mere fact that Milosevic’s rise – and his and Serbia’s systematic violation of the SFRJ 1974 Constitution (Socialist Federative Republic of Yugoslavia/SFRY), neo-Apartheid rule over Kosovo, and not entirely clandestine illegal arming of Serbian terrorists and paramilitaries in Croatia a full year before HDZ (Croatian Democratic Union) was balloted to power and following suit in B&H as early as 1989 – was covered blithely, the illegal arming campaign not at all, with Milosevic even being hailed as a reformer in English-speaking media, demonstrates who and what the press, and governments of said outlets, were supporting in the fmr. Yugoslavia. As Milosevic rose to power, he consolidated control of Serbia’s media. The media narratives that Milosevic’s media were repeating became staples of frames of reference Western and international media coverage. Rare, if at all, were Ustasha crimes (and the hyper-inflation of those crimes) committed during WWII absent from any coverage of Croatia 1989 – 1995. Meanwhile, the crimes of the proto-fascist Karadjordjevic regime, the genocide of Croats by Chetniks in WWII (as well as Tito’s genocide of Croats after WWII), and the systematic political disenfranchisement and discrimination against Croats, as well as the state-sponsored terrorism against them inside and outside of Tito’s “multi-ethnic Yugoslavia,” were almost never mentioned in any serious newspaper or television report the duration of the conflict in the West as context yet Jasenovac and real and imagined Ustasha crimes were almost a mandatory frame of reference and backgrounder. The time-line and chronology of the so-called Yugoslav crisis in the late 1980s and through the democratic changes, and ultimately, war, were skewed entirely – not just by the parade of the obviously shameless Western government officials, diplomats and UN officials in massive conflicts of interest, like Lawrence Eagleburger, Brent Scowcroft, James Baker III, and General Lewis MacKenzie; nor by the at best lazy journalists who rarely ventured outside of Belgrade’s lavish hotels and Milosevic government and Yugoslav People’s Army press corps untruthful propaganda séances mislabeled as “news briefs,” but by the NGOs and the individuals and organizations that they subsidized, who these government officials, diplomats and journalists would in return cite as if they were independent actors and not controlled and subsidized actors with a foreign state-policy pushing agenda – with the goal of changing perceptions from the facts, to certain false, or at best partially true narratives suppressing important evidence that debunks the premise of the new narrative, with the explicit purpose of achieving political (and in a time of war, by default, military) objectives. The enduring global reach of Milosevic’s propaganda, and the frequency of repetition of the propaganda points during and since the war – and the deafening silence by governments, NGOs and so-called liberal and progressive Croatian journalists – shows that despite the seminal study “Political Propaganda and the Plan to Create ‘A State For All Serbs:’ Consequences of using media for ultra-nationalist ends” by Professor Renaud de la Brosse, which was submitted into evidence at the Milosevic ICTY trial (i), the propaganda techniques and messages he debunked were, and remain, somewhat still widely accepted outside of Serbia (where they are holier than the Bible), but also in Croatia. 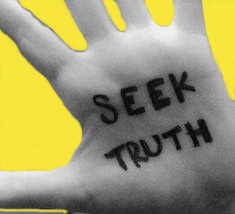 The reason is the perpetual repetition of those myths by nontransparent foreign and foreign subsidized NGOs and their media collaborators, along with foreign governments (and their media operatives and the NGOs they finance) working with or outright hiring former regime members and political and intelligence operatives. (i) The five-parts are no longer available in PDF format as they were up to at least a year ago, but readers are redirected to http://hrp.bard.edu/slobodan-milosevic-trial-public-archive/. Very good reading for those who understand our history. We can read in between the lines and figure out easily who our enemies really are and they all should have been brought up on criminal changes especially those in the United States a country who claims to be one of moral leadership but we know that the United states is more of a hypocritical country filled with immoral politicians and corruption. Sadly there were many war criminals in the American government during our history who were immune to criminal prosecution . I would have loved to see them imprisoned or better yet hung in public for their acts. But let us look at the names of those involved and you could easily tell who was behind these war crimes besides the Serbs and what countries were influencing them. We all know who controls western media for the most part and even more so someone needs to answer for the weapons that Israel gave to Serbia during the homeland war while there was a supposed blockade of weapons.Israel needs to answer for it as well.There was no reason for Israel to be involved in this war other for them to wish for our demise. But that is ok because I hope to someday watch the same suffering happen to them and hopefully soon. Karma! The British goverment has never been a friend to Croatia and is now what I consider an untrustworthy Allied. My disdain for them is so severe that I wont even fly their airlines or step foot in their country. My disgust is so severe that if I hear someone speak with a British accent it causes me to vomit. Germany ,Austria and Hungary has for the most part of our history supported Croats and even to this day has done more for us the any other country and I consider them to be kin folk to this day. Thank you Ina Vukic for posting this excellent and truthful material.I look forward to the rest of the reading. Well said, Ina. Let us also remember that most ordinary Brits are just as likely to be brainwashed by Greater Serbia propaganda as our neighbours themselves. It doesn’t excuse the crimes committed against Croats, but it doesn’t make us any better to wish suffering upon other ethnic or religious groups, (or to enjoy their suffering) no matter how those in power have wronged us. What if they do suffer, what then? 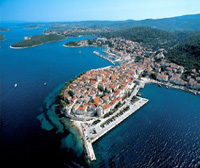 What does that achieve for Croats? It doesn’t achieve anything for us, nor does it guarantee our suffering will end. When you keep wishing badly on entire groups of people, you are no better than any Serb who wished demise upon Croats, nor any fascist or communist, fueled by hateful ideology. Yes, those with high positions of power did harm Croatia, but it is ridiculous to wish badly upon anyone and anything who has the same ethnic or religious affiliations as corrupt individuals and groups with power. Karma should punish those individuals and criminal organizations, leaving normal people to actually be able to reconcile and move forward by uncovering the truth, not to further punish innocents and create more set-backs and hatred. I am not one to deny or minimise the suffering of Croats and I do what I can to teach people the facts surrounding our political issues, but that does not justify wishing punishment upon entire groups of people. I think that if we put out hatred, we’ll only receive hatred in return and lead ourselves to demise through hatred. No matter what, we have to be above this. There’s no point praising the goodness of Croatian people if Croatian people wish suffering upon others or enjoy the suffering of others, as some means of revenge. We’re not barbarians. I understand fully what you are saying and perhaps I should have found a better way to express my thoughts. Many people are innocent because of their ignorance of what their governments have done and continue to do all over the world to innocent people that suffer. My comment about Karma and suffering was to say that yes this needs to happen to people to wake them up to the reality of what has happened and what is happening today as well. It was like in the USA on 9/11. The American people plead ignorance and did not care what our goverment has done as long as it did not effect us on a personal level until it hit home. I can not in good conscious sit here and say this should not happen while we are still being assaulted by other governments as are other countries around the world. I know of no better way for the people to wake up unless they suffer the same fate that their governments perpetrate against others.. As you see after 9/11 the American people are finally waking up to the reality of the wrongs of their goverment. Unfortunately many governments still continue to attack people, countries and cultures.I guess my question is how do we hold those governments accountable? Has anyone in the British, Israeli or other governments that betrayed us been prosecuted? I am glad you understand why I feel the way I do and I am not anywhere near forgiving anyone who has done us wrong. Is my forgiveness going to find my grandfather? Is my forgiveness going to ease my mothers pain as being raped and abused as a child or the dysfunction and poverty of the Croatian family going to ease because we are aged. I can tell you what though. When all of those countries ( British, Serbia , Israel ,Etc )admit there faults and stop with the lies that continue to this day then maybe I will find a place in my heart to begin to forgive. The highest price is always paid for the deeds others did not want or do not want because they thwart their own plans – good for you David B. for sticking to your guns! WIth evidence presented at the ICTY and during the ICJ genocide trial, books and articles being written that provide clear, concise and well documented evidence of Croatian suffering and Serbian aggression and genocide the tide will turn and the truth will prevail. Your blog is really amazing… I am learning through your posts and I am truly grateful for that. Keep it up. Good article and scarily true. I think this should definitely be shared with as many Croats as possible, especially those who can’t read English. As the article says, Moscow is basically the enabler of Serbia and we should always be careful that Serbian politicians don’t try similar tactics. Having not yet distanced themselves from the Greater Serbia ideology, and with many Yugonostalgics within Croatia, it’s necessary to be aware and vigilant. The trigger is going to be the continuation of the Bosniak Yogurt Revolution that two foreign embassies of “allies” are machinating, and have been when ole Francis Boyle posited the need for an “occupy-like” movement in B&H (irony being that Occupy and its members were illegally targeted by law enforcement) to “democratize” (read: majoritize / carry out centralization and unitarization of the Federation) B&H back in December 2012 on his blog. The English language media praising of it, especially from deep state shills, Western establishment media and Western government NGO front subsidized English language agitprop media outlets like Balkan Dimsight and SETimes.com is paving the way for legitimization of the use of violence to achieve political ends.